“Bigger is better” is the mindset that governs most decisions concerning Austin, TX’s annual musical headache known as South by Southwest. What once was a gathering of cool bands and labels diametrically opposed to the established music industry who wanted to hang out and test out new material on each other has now become the poster boy for corporate sponsorship and brand exposure impinging on entertainment. But not every SXSW party is like that. 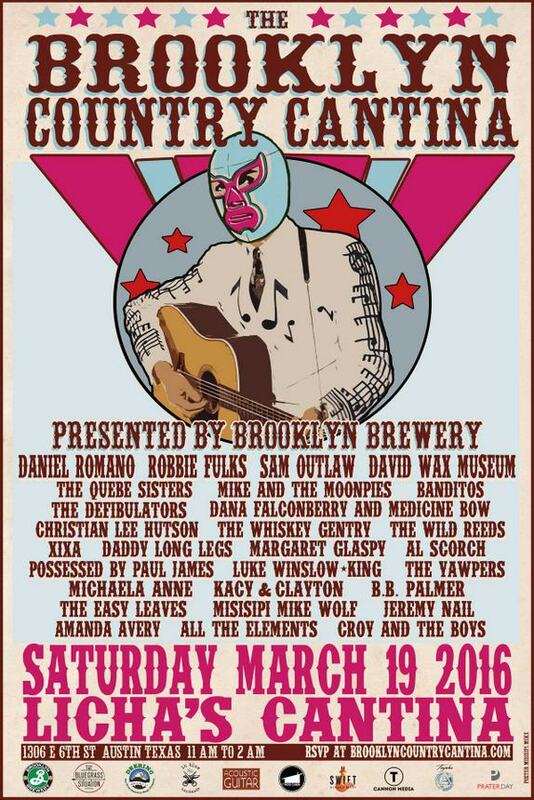 For every officially-sanctioned event, there’s two more that squeeze in where they can and try to keep the original spirit of SXSW alive, including the now 8th Annual Brooklyn Country Cantina, which boasts a stacked 2016 lineup for Saturday, March 19th including Sam Outlaw, Daniel Romano, Possessed by Paul James, The Quebe Sisters, Mike and the Moonpies, and many more. “It’s kind of a nice little story,” says Erin Bru, who along with Bug Jennings comprises the front line of the Brooklyn-based country band The Defibulators, and have hosted the event all eight years with Austin resident and musician Daniel Roark. The first few years, the event was held at Roark’s house. Performers for the first year of the event back in 2008 included Andy Friedman and the Other Failures, and Miss Tess and the Talkbacks. A few years ago the event moved to Licha’s Cantina on east 6th Street, mere blocks from downtown, but just outside of the heart of the madness that is SXSW. Erin Bru says they never make any money off the free event, but that’s not the point. They have been able to wrangle sponsors to help pay for the sound and stages and such, and have strived to keep the event intimate over the years. The music starts at 11 a.m., and if you want to be assured to get in without waiting in line, you’ll want to show up early. Typically by the afternoon there’s a line down the block of people waiting to get in, but luckily you can usually see and hear the band in the front yard as you wait. 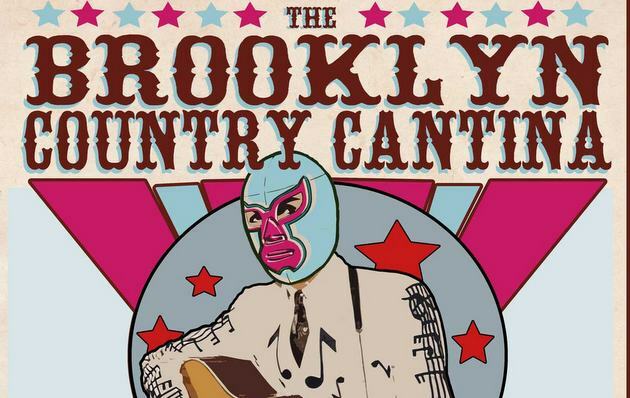 To RSVP for the event, go to brooklyncountrycantina.com. 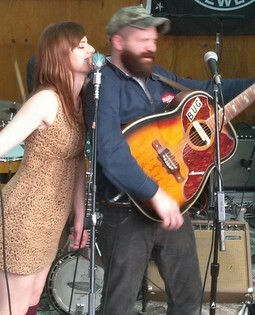 Whiskey Gentry is a great band out of Atlanta. Kind of remind me of the Black Lillies. I hear an eerie resemblance between much of Daniel Romano’s latest CD and Robbie Fulks’ earlier work. Interesting to see them back to back at the top of the bill. Folks who use the televised portion of the Grammys as evidence that there’s no good music today don’t know what they’re talking about. There’s as much talent out there as there ever was. The music industry may be broken, but the actual music is very much alive and well. Oops, meant to reply to Eric.